After several weeks of testing, ITV Wales is to launch in high definition on Tuesday 25th August, broadcasting on all digital TV platforms. 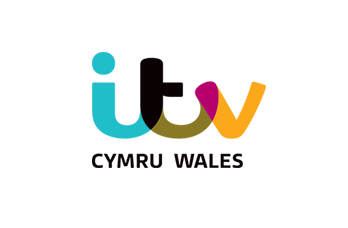 ITV Cymru Wales HD will replace the current version of ITV HD across Wales. For viewers with Sky HD, ITV Wales HD will appear on channel 103, swapping places with the standard definition counterpart. Some Freeview receivers will need to be retuned in order to continue receiving all ITV services. YouView, Sky and Freesat receivers have the ability to automatically retune; if this fails, viewers may need to reboot their receiver. Viewers who have set recordings / series links will need to restore them on the new ITV Wales HD service. "Securing the investment needed for HD transmissions across Freeview, satellite and cable has been a key priority for us since our move to our new broadcast centre in Cardiff Bay a year ago. It further demonstrates the value that ITV places in the distinctive news and programmes we make here in Wales. It's also terrific news for Welsh rugby fans as the changes will be in place in time for our special coverage of the Wales team in the Rugby World Cup, including all the live games that feature Wales." Mobile users rotate their screen to landscape mode to see the full data. So can we expect to see ITV swap the the SD with HD in regions where a HD region is available such a Central and Granada or is this Wales only!? Probably a bit more complex in the English regions as the HD channels also air in other regions at the moment, so I suspect that is a factor - can Sky handle moving the HD varient in one region but not another where it is the same channel?